Welcome to our practice. We are looking forward to meeting you, and are so glad you have taken the first step towards a healthier, beautiful smile. I understand that a trip to the dentist is often accompanied by concerns and questions. It is my priority to make sure you are comfortable and informed. I will give you all the options available to make sure your mouth is both problem free and great to look at. I am excited for your dental future, and I hope you too are looking forward to beginning a path toward optimal dental health. Call us to schedule an appointment today (352)628-7788. 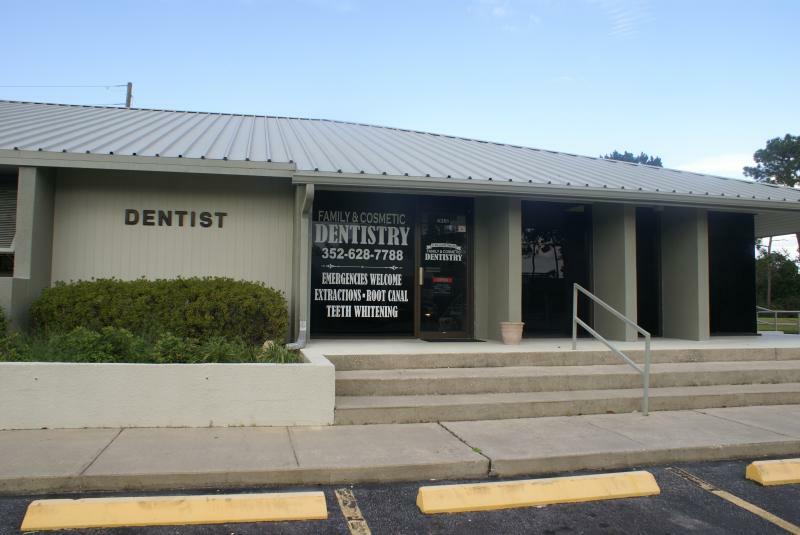 We are located at 4361 S Suncoast Blvd in beautiful Homosassa right on US 19 between bank of America and Brannen Bank, across from the wildlife park. We are in a single standing building with ample parking and easy access from the main highway.